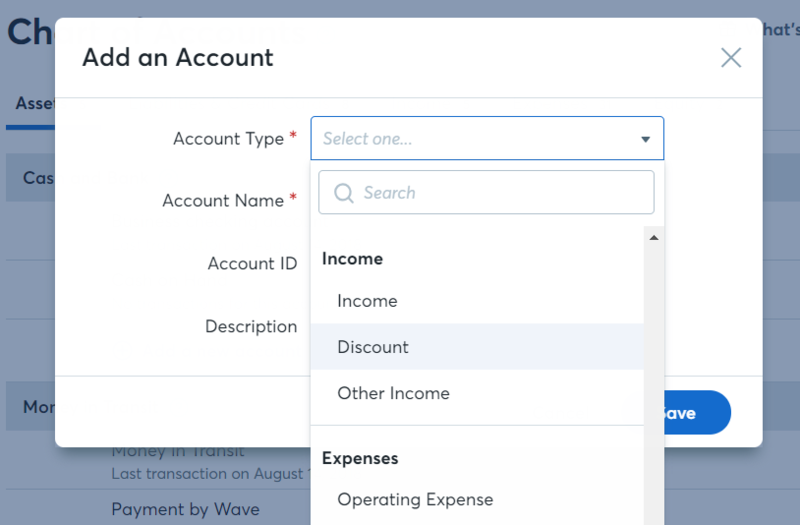 Your Chart of Accounts is where you'll go to organize your accounting and ensure that your business is accurately represented within Wave. If you use our Invoicing tools, you may find the Income tab to be particularly important. You’ll find that our upgrade has brought lots of exciting new changes to your Chart of Accounts page. As before, found under the Accounting tab in the left navigation menu. You now have a product or service that is associated with a specific income account. Any time this product is added to a Wave invoice, the income associated with it will appear to contribute to the account’s balance in your reporting. 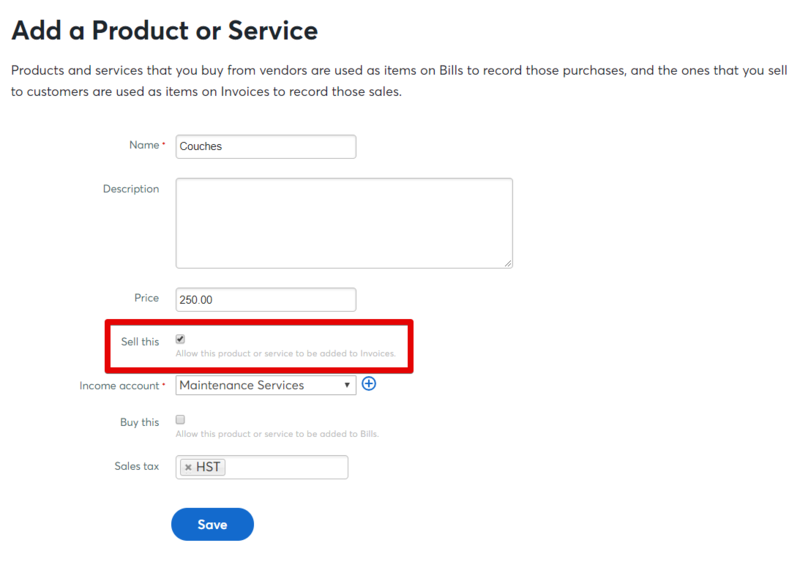 Any products and services that are not connected to a custom income account will be recorded to your Sales account by default. Income accounts have other uses too! For example, you may sometimes wish to issue a discount on an invoice for a regular customer. We hear you. In order to facilitate this, we’ve added a new account type: Discounts. Any time you introduce a new discount or promotion, you’ll want to add a new discount account so that you are able to track the total amount that has been withheld from your invoice sales. The new Discounts account-type is what is known as a contra-revenue account. This means that its balance will be negative and will count against the balances of the rest of your other income accounts. Whenever adding a discount to your invoices as an item, be sure to make the price of the item negative (enter “-” before the value). This will subtract the discount from the invoice total. Any discount accounts that have been added and associated with products and services will appear as their own line item in your reports. If you have followed the above directions, your discount account’s balance should have a negative value.